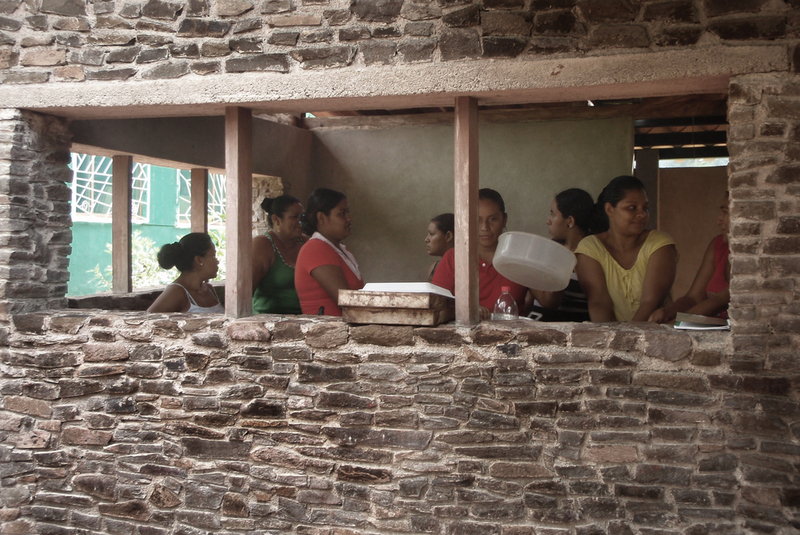 A Community Kitchen Facility for the Mano Amiga Community Centre on the island of Ometepe. This building was created working in collaboration with the local community in Balgue, Nicaragua. Due to the buildings location and climate, the majority of the space is open sided to allow cooling as the cool breeze runs down the side of the volcano towards Lake Nicaragua. The tall butterfly roof provides shade and protection from the monsoon rains.